Quick and Easy Healthy Oat Bites (gluten free and vegan). This recipe is perfect for when you want a quick and healthy treat but don’t have much time. All you need is one mixing bowl (no sink full of dishes! 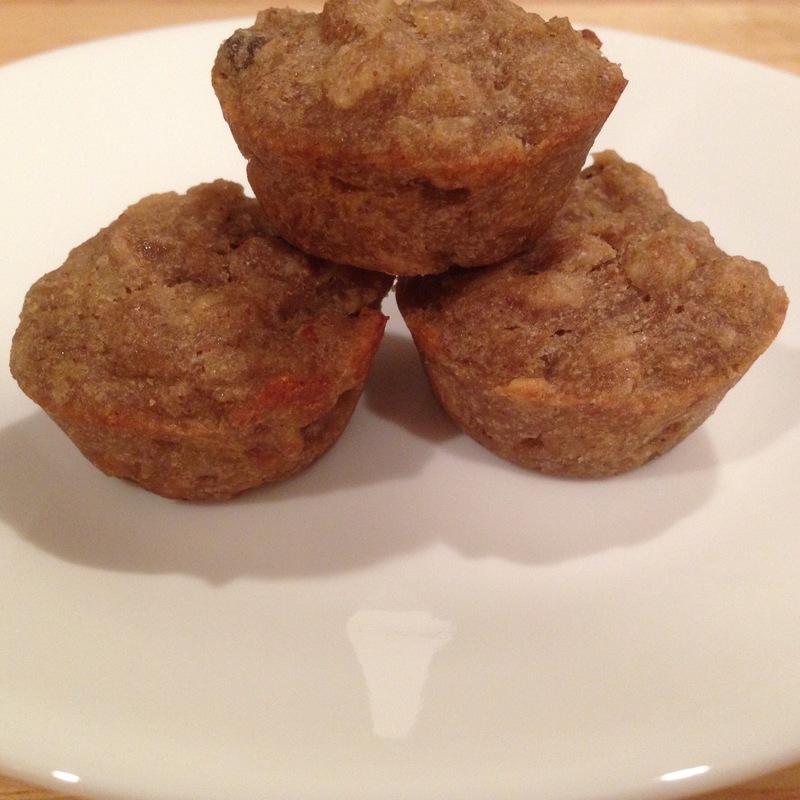 ), 1 mini muffin pan and less than 20 mins. I used buckwheat flour in this recipe because it’s gluten free and nutritious (buckwheat is one of the few vegetarian sources of complete protein), but feel free to substitute a different flour. 1. Preheat oven to 350*F. Grease a mini muffin pan and set aside. 2. In a large bowl, mash the bananas. Stir in the maple syrup, coconut oil, vanilla, and cinnamon. Add oats and buckwheat flour and combine well. Stir in raisins. 3. Spoon batter into the pre-greased mini muffin tin. Bake for 10-12 mins until a toothpick inserted in the centre comes out clean. Remove from pan and let cool. Makes 24-30 bites, depending on how large you make them. Enjoy!